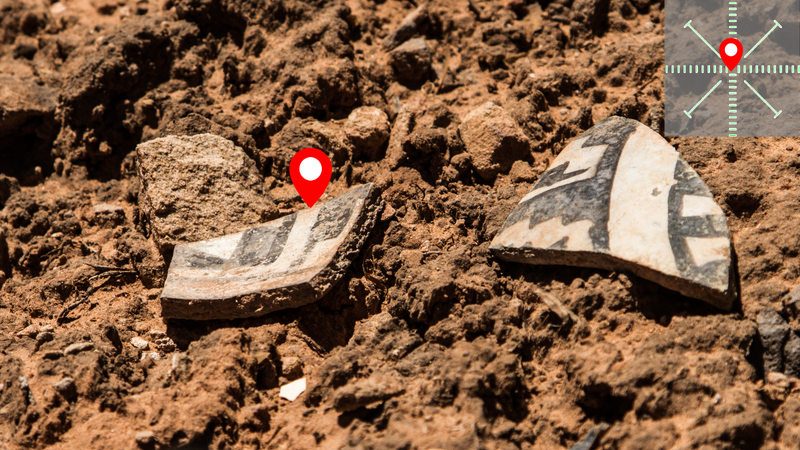 Can a trove of Native American ruins be saved from eBay and ‘white people’ ideology? CEDAR MESA, Utah—When I asked Josh Ewing, my tour guide through the countless Native American ruin sites nestled in the remote cliffsides of southeastern Utah, about the coolest thing he’d ever discovered here, he barely paused before answering. Ewing, executive director of Friends of Cedar Mesa, a small environmental nonprofit, is working to help preserve this entire region, known as Bears Ears—1.9 million acres of stunning landscape, larger than the state of Delaware, that could soon be named America’s newest national monument. Ewing is right; just about everyone wants a piece of Bears Ears, which has given rise to a heated conflict around the national monument designation that is coming to a head this summer. Native American tribes in the area have put forth a plan that eschews Congress and asks President Obama to use executive action to give the region monument status. Meanwhile, state and local politicians in government-wary Utah are vehemently opposed to such a move, which they consider to be blatant federal overreach. They want to keep much of the area open to potential fossil fuel development as well as for relatively unhindered recreational and grazing use. A well-preserved site of Ancestral Pueblo archeology in the Bears Ears region. The Bears Ears Inter-Tribal Coalition (BEITC), a group of five Native American tribes formed to push for the national monument designation, doesn’t think the PLI goes far enough to conserve their sacred lands either, which they not only rely on for ceremonial use, but also access for firewood and herb gathering. Members of the BEITC originally hoped to work with lawmakers on preserving Bears Ears, but around 18 months ago determined they’d be better off branching out on their own and pursuing a national monument. An estimated 100,000 cultural and archeological sites sprawl across Utah’s San Juan County, which encompasses the Bears Ears proposal plus two more times its area—more archaeological sites per square mile than any other county in the nation. Mark Maryboy, a former Navajo Nation Council Delegate and one of the leaders of the BEITC—which includes the Hopi, Navajo, Ute Mountain, Ute Indian, and Zuni tribes—told me that if many of the people opposed to the proposal would have simply read their document or sat down for a meeting, all this could have been resolved much more easily, and long ago. Maryboy, who had very harsh words of condemnation for San Juan County and Utah politicians, said that aside from getting the buy-in of other local tribes—especially those with ancestral connections to the pueblo remains—the entire National Congress of American Indians supports the Bears Ears National Monument. Mark Maryboy, a Navajo and a former San Juan County Commissioner, discusses the Bears Ears proposal in a cafe in the town of Bluff, Utah. Republican brouhaha around the use of the Antiquities Act is nothing new, but the Bears Ears National Monument would be one of Obama’s last and largest such designations, and it is thus causing extreme blowback. Obama has utilized his power under the act to expand public lands more than any other president, establishing a total of 22 national monuments. Republicans have voted almost that many times during this legislative session to block Obama’s authority to designate new monuments. Obama has aimed to create national monuments that preserve natural beauty, especially in the face of climate change, but also help raise awareness for some of the America’s underrepresented history. For instance, he recently designated the site of New York City’s Stonewall Uprising as the first-ever national monument celebrating LGBTQ rights in the United States. The general public in Utah appears to strongly support Obama’s prerogative to continue this trend with the Bears Ears National Monument, with polling data showing that 71% of Utah residents support it. Ewing doesn’t think that the Bears Ears designation would do much to change the daily use of the region for Native Americans or other locals, including ranchers with livestock, nor does he see the national monument proposal or the scaled-back, Utah-lawmaker approved version—which would designate much of the area as a similar National Conservation Area—as being so vastly different from each other. "Sometimes you don’t get rational discussion in these things, it becomes emotional." Ewing said the differences between the two approaches “get pretty wonky to be honest” and that’s why he thinks it’s so much about ideology, not about the differences between the legislative and executive branch proposals. “Sometimes you don’t get rational discussion in these things, it becomes emotional,” he said of the current standoff. Whether the area becomes a national monument or some other form of federally overseen area, Ewing thinks it will result in more educational tools, such as helpful signage, as well as clear paths that will direct visitors to certain sites and steer them away from others. As for preventing looting and vandalism, any additional resources in terms of boots on the ground will still fall short of what would be required to effectively patrol the vast region. It’s already illegal to take artifacts from public lands; the hope is that a national monument designation would help curtail the culture of doing this. Interior Secretary Sally Jewell will be visiting Utah this weekend to meet with stakeholders involved in the debate and to try and smooth a path forward. This year is the centennial celebration of the National Park Service, and the agency is using the occasion to highlight the important role that it plays in preserving both natural beauty and human history. She said in Utah, Jewell will meet with community members and local leaders to consider all conservation proposals, legislative or not, and that in some cases, “the next step may simply be more conversations—and more listening." John Freemuth, a public policy professor at Boise State University and a former park ranger with an expertise in public lands, told me that the current Bears Ears proposal is especially interesting because it involves Native American tribes, which have historically been excluded or marginalized from the discussion around such designations. He said that the Antiquities Act is now being used to help “complete the American story” and not just designate “celebratory stuff, but also stuff we want to remember” such as the history of gay rights, women’s rights, and WWII internment camps. Josh Ewing, Executive Director of Friends of Cedar Mesa, looks out at Native American ruins from one of the few established visitor areas in the Bears Ears region. His organization recently helped install benches and informational signage along the trail from the parking area to the lookout. Ewing showed me everything from miniature foot impressions the Native Americans carved into sandstone to use as stairs (and which we also used) to the remains of massive, circular kivas that housed religious ceremonies. At one point we visited a site not far off a main road that we were able to approach within a few feet. I was struck by the freshness of the rock and mud plaster construction work, which remained remarkably intact after centuries of weathering, as well as the fact that the wooden roof beams were still in place. Built deep inside cavernous cliffsides, the canyon wall between the structure and a nearby corn granary—a staple food for Ancestral Pueblo Indians—was lined with petroglyphs. Ewing pointed out a prominent squiggly line about eye-level on the wall and said it was believed to represent a life’s journey. One of the few Native Americans opposed to the monument designation happens to also be a Utah politician. Rebecca M. Benally, a Navajo and current San Juan County Commissioner, has chosen to side with the anti-federal government contingent. In a strongly worded editorial in April, she wrote that “trusting the federal government has historically resulted in broken promises for Native Americans” and that she has a deep distrust of the “deep-pocketed” environmental groups promoting the designation. “The federal government has proven repeated broken promises of trust responsibilities and broken treaties, again and again and again for the last 200 years,” she wrote. Maryboy said Benally is telling the Navajo the same thing that other Utah politicians like Sen. Orrin Hatch are: That “they are gonna be locked out of the land,” which he called an inflammatory and patently false assertion. "If you know the pottery of this area, you can look at it and say there’s a 99% chance that came from public land." While the area has been a hotbed of looting and vandalism for over a century since settlers started passing through, that pace has rapidly picked up in recent decades as traffic—both foot and vehicular—has increased, and as the internet has made finding remote locations far easier than before. The Bureau of Land Management, which currently oversees much of the area, has reported a surge of disturbing archaeological crimes since 2011, with estimates of more than 50 incidents in the area including campers tearing down a 19th-century Navajo hogan for use as firewood and desecrated burial sites. To try and combat this, Ewing spent the last few years working with the BLM to set up a reward fund for anyone who reports such incidents. Friends of Cedar Mesa also has an agreement with the government to patrol certain sites every few weeks to note any changes. Not only has the internet enabled people to easily locate ruins using other people’s shared GPS locations, but it also allows them to sell the artifacts easily—as long as they provide the appropriate disclaimer. Ancestral Pueblo ruins built into a steep cliffside in the Bears Ears region. Even with someone as familiar with the area as Ewing, it still took a little bit of stumbling to find what we were looking for. We romped up a curvy road winding through stubby juniper trees only to realize it was the wrong curvy juniper road. We overshot the easiest way to descend a slick rock formation into a small canyon and had to backtrack. Surrounded by several National Parks, including Arches National Park and Canyonlands National Park, Bears Ears’ beauty is less postcard and more Kodak moment: The landscape is there to be experienced more than it is to be observed. The canyons yawn with the force of millions of years and the mesas rise as if they were punched up in one solid motion. Even the sheer cliffs are famous, as climbers come from around the world for the chance to scale them. Kevin Ditmore, a 29-year-old Nashville native who relocated to Moab, a mecca for desert sport enthusiasts on the northern edge of the proposed monument, told me as I lunched in the town’s only brewery that he came to the area to start over. Even with the nearby national parks already receiving record crowds, he isn’t worried that the Bears Ears National Monument would attract enough people to intrude on the solitude he seeks. Ditmore said that pretty much anytime he’s gone exploring he’s come across a Native American ruin or petroglyph.